Yesterday, the handsome hunk, Prabhas was in Mumbai giving out interviews to the entire media for Baahubali 2. The response to his presence was too good and especially many female fans thronged the media centres to just get a glimpse of Prabhas. On the other hand, Prabhas also opened up a lot better this time around and was seen at his wittiest best in these promotions. Post the success of Baahubali, Prabhas’s fame has doubled in the country and some top production houses in the country are after Prabhas to sign him for their films. 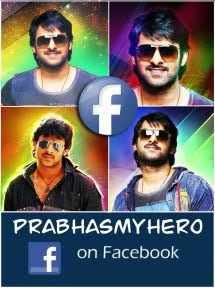 Prabhas’s next film in the direction of Sujeeth will also be made in Hindi and the teaser for the same is being shot now.